Brazilian death metal corps NERVOCHAOS have released a 360 degree video for the track “Ritualistic”. These 360 degree videos are all the rage now and everyone is getting in on it. The track comes from their upcoming new album Nyctophilia on April 7th via Greyhaze in the US. Check out the video below. “Nyctophilia” is an eclectic mix of all that characterizes the band, 13 new tracks of 80s-fueled blackened extreme music, executed in NERVOCHAOS trademark: raw, aggressive and organic style of Metal. “Nyctophilia” has a new intensity and it takes a step forward, compared to their older releases. 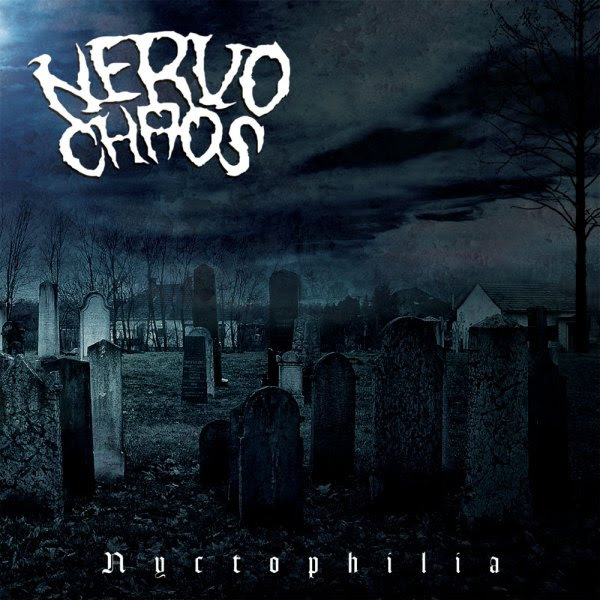 “Nyctophilia” surely is the best album up-to-date from NERVOCHAOS, which managed to evolve musically without losing the band’s proposal and trademark. NERVOCHAOS are currently on their Latin American co-headlining Tour, presented by ALPHA OMEGA Management‘s ALPHA OMEGA Tours, with the Brazilian death metal maniacs KRISIUN! Check out the remaining shows below.